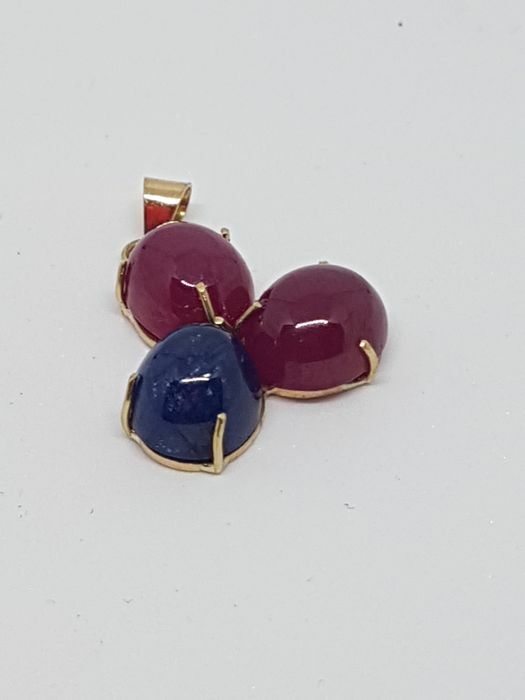 Italian made pendant, entirely handmade, in 18 kt yellow gold. 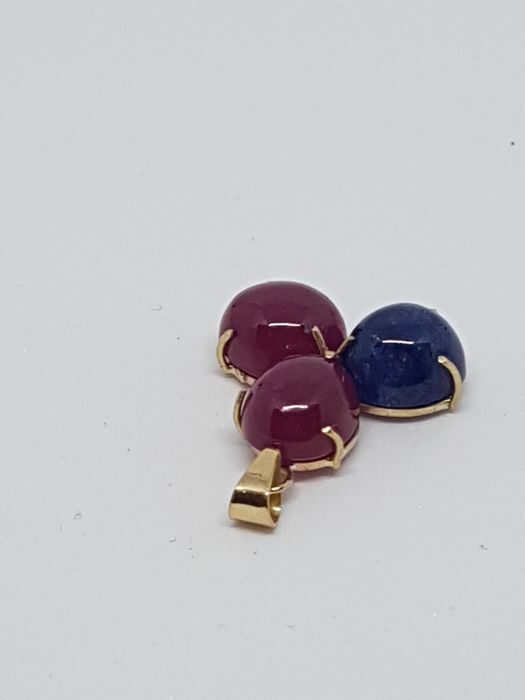 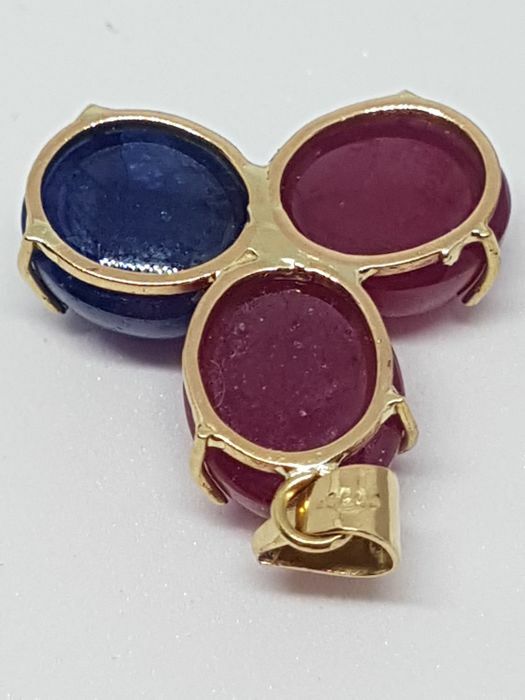 Consisting of three natural stones, cabochon cut: one central sapphire cabochon of 6 ct, 10 x 6 mm, and two lateral natural rubies totalling 12 ct, 10 x 6 mm (precious stones are often treated to enhance their colour and clarity; these stones have not been tested in this regard). 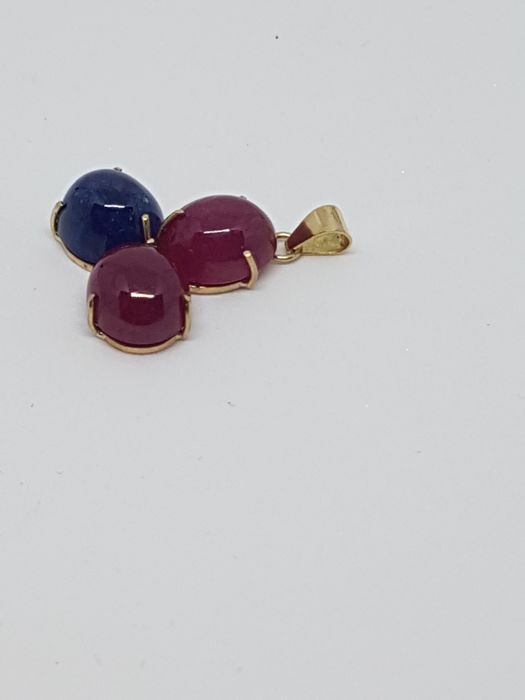 Free shipping via DHL express courier, comes with certificate of guarantee.